Ms. McKenzie was invited to be the 2013 William Belden Noble Lecturer during ARTS FIRST from Thursday, April 25 – Sunday, April 28, 2013. 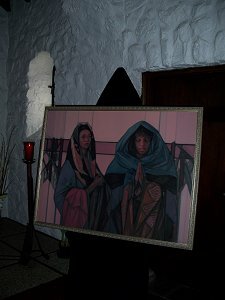 Over the weekend of April 10, 2010, Janet McKenzie, exhibited a selection of large and small paintings and spoke as part of the 100th Anniversary of the Episcopal, Order of St. Anne Bethany, founded by artist, Mother Etheldred Breeze Barry. During the two day celebration a Power Point overview of the artist's work was shown, followed by a discussion. Her paintings, "Mary and Jesus with the Papel Picado" and "The Holy Family II" were presented on the altar in the magnificent Chapel. 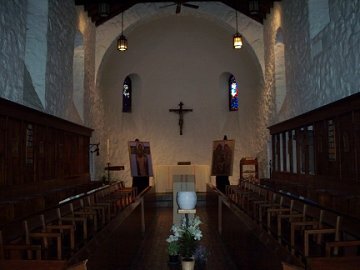 "The Prayer" was exhibited in the side Chapel. Ms McKenzie spoke very personally for half an hour, with questions and answers following, about her journey to sacred art, the creation of "Jesus of the People" and her recently published book, Holiness and the Feminine Spirit - The Art of Janet McKenzie. Ms McKenzie and her son were lovingly welcomed by the Sisters, headed by Sr. Ana Clara, OSA, Mother Superior, and Julia Slayton, who handled every detail so very beautifully. 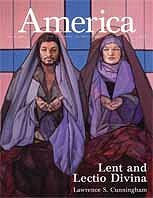 "Succour - the gift of support and solace"
"Mary Magdalene with Jesus, the Christ" was featured on the February 2007 cover of America magazine. "In the Garden of Blessings" was featured on the April 2005 cover of The Lutheran magazine. 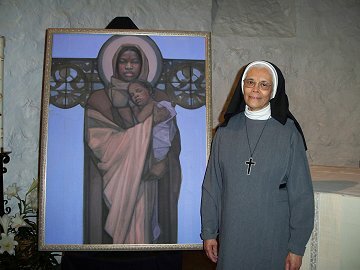 Janet McKenzie's paintings, "Epiphany" and “Madonna and Child – Boundless Love” (January 2005, Christmas issue 2004, respectively) were featured on the covers of “America Magazine”. Click on the image below of "Epiphany" or "Madonna and Child - Boundless Love" to go to "America Magazine". 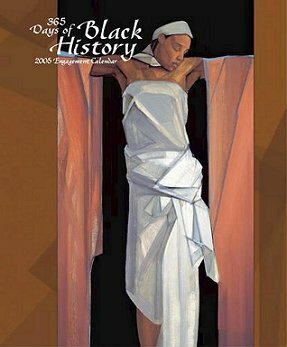 Janet McKenzie's painting, "Woman Offered #3" was featured on the cover of the 2005 edition of "365 Days of Black History Engagement Calendar". 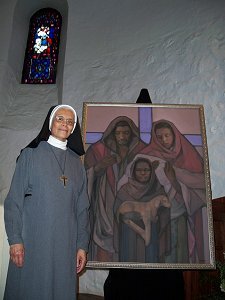 Janet McKenzie's painting, "Saint Josephine Bakhita" was featured in the 2005 edition of "365 Days of Black History Wall Calendar"
"The Catholic New World Newspaper for the Archdiocese of Chicago" interviewed Janet McKenzie and featured the painting "Reflections on the Journey", March 2005.